Got kids on your list? HISTORY combed the National Toy Hall of Fame for 'icon-status' playthings—and then paired each with a fresh take on the classic. 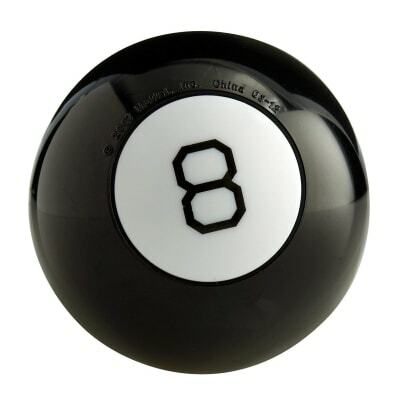 Way back when you were a kid, you likely asked Santa for a Magic 8 Ball. Or a teddy bear. Or Hot Wheels. Or a baby doll. And today’s kids? When they climb up on the jolly bearded guy’s lap in 2018, their lists often include…a Magic 8 Ball. A teddy bear. Hot Wheels. A baby doll. When it comes to playthings, classics stand the test of time. Consider the National Toy Hall of Fame, housed in New York’s Strong museum, which has inducted 68 items to date. This year’s class: Magic 8 Ball, Uno and pinball. 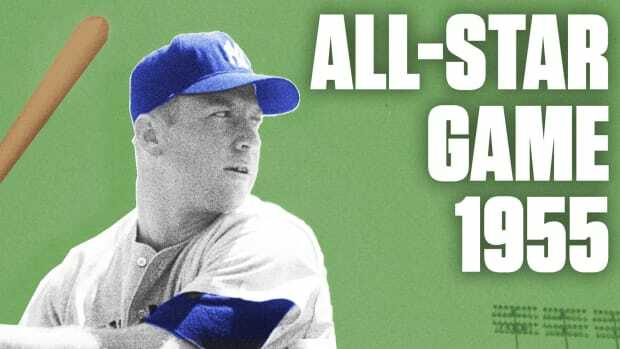 To simplify your holiday toy shopping (and offer a fun trip down memory lane), we’ve rounded up classic hall-of-fame playthings, along with some fun new twists on the standards. None is likely to end up gathering dust bunnies. 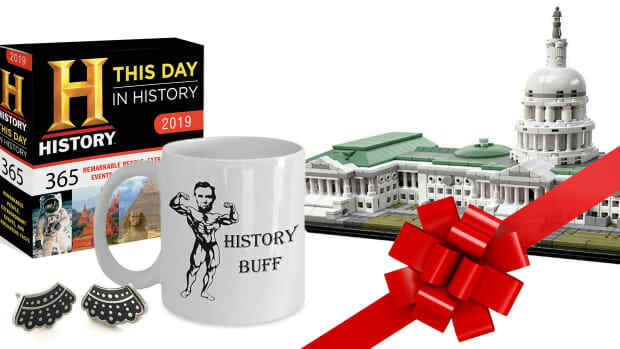 HISTORY recommends products our editors think you’ll like, and if you buy something through our links HISTORY may get a small share of the revenue. Prices may fluctuate. 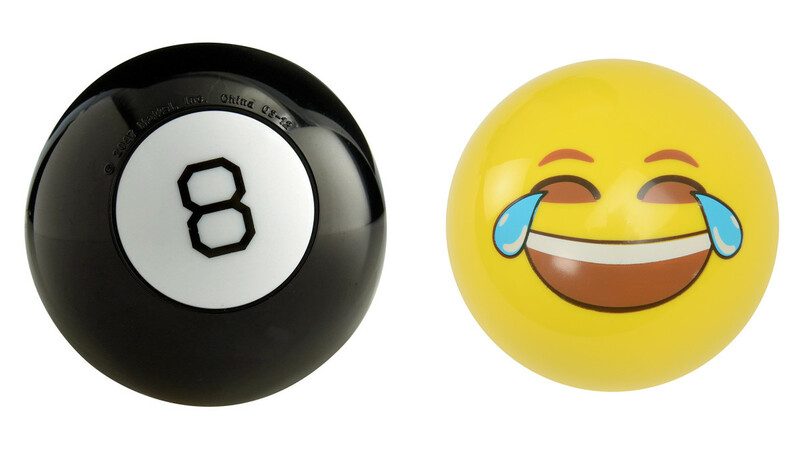 BUY HERE: Magic 8 Ball, about $5, Amazon. 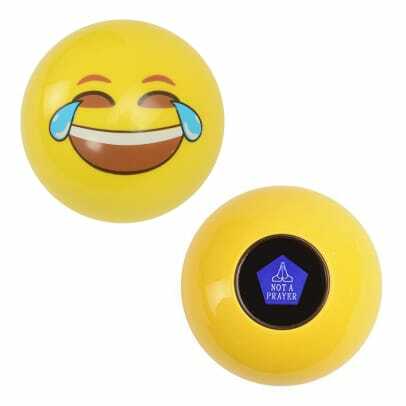 BUY HERE: Emoji Ball, about $8, Amazon. BUY HERE: Hot Wheels Gift Pack, about $9.50, Amazon. 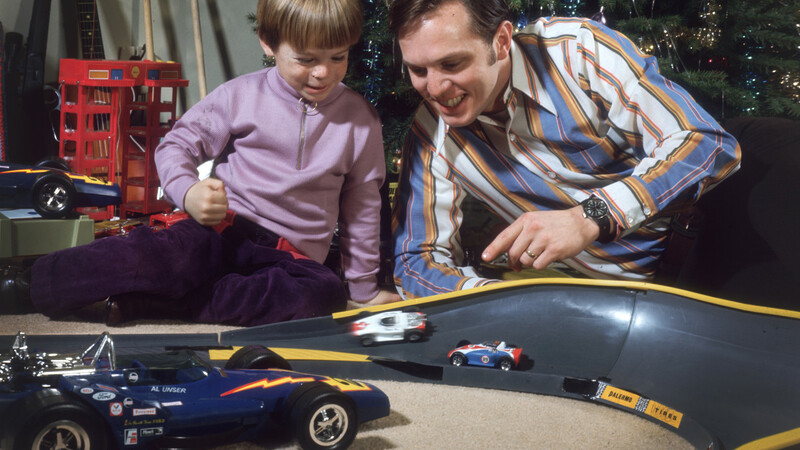 Kids (and, yes, many adults) have been collecting and racing Hot Wheels cars since its first mini muscle cars vroomed into toy stores in 1968. Why? Maybe it’s the super-specific 1:64 scale. Or the authentic sporty die-cast details, based on real auto designs. (Mattel hired Chevy designer Harry Bradley to craft the look.) Or maybe it’s just that universal need for speed—even in little hands. Ages 3 and up. BUY HERE: Hot Wheels Criss Cross Crash Track Set, about $50.00, Amazon. For Hot Wheels fans who want to accelerate. This looping criss-cross race track comes with one vehicle and is full of gnarly twists, hairpin turns, motorized boosters and, of course, plenty of space for careening, fly-off-the-track crashes. Perfect for any young Mario Andretti or Danica Patrick in the family. Ages 5 and up. 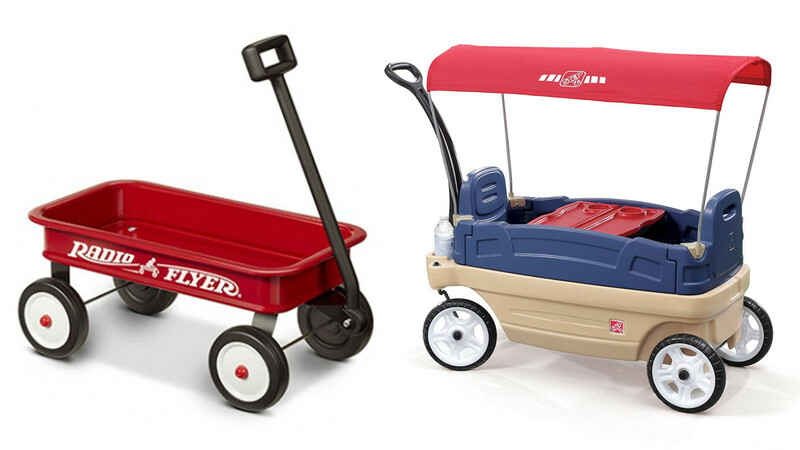 BUY HERE: Radio Flyer My 1st Wagon, about $13, Amazon. First, Italian immigrant Antonio Pasin hand-made his red wagons and peddled them on the street. When he started mass-producing his Radio Flyers in 1930 (original price: $3), the classic pull-along toy sold at a rate of 1,500 a day during the Great Depression, according to the Toy Hall of Fame. These days, it’s still a perfect way for little ones to tote their favorite stuff. Ages 3 and up. 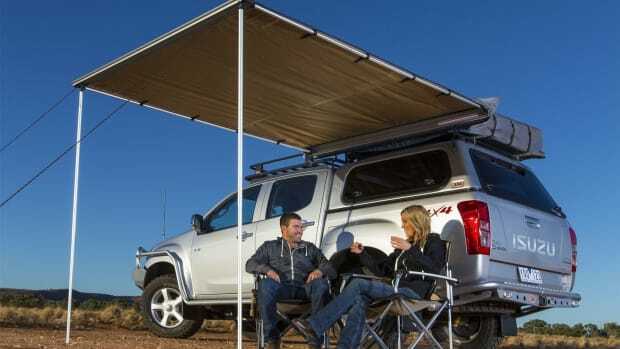 BUY HERE: Whisper Ride Touring Wagon, about $120, Amazon. Talk about versatility: This durable three-in-one wagon can seat two kids (complete with seat belts for little escape artists in the family), features a removable canopy and cup holders and folds flat for storage. And—bonus!—it also works for Mom and Dad when they need help hauling stuff around the yard. Ages 18 months to 4. BUY HERE: Aurora World Small Coco Bear Plush, about $11.50, Amazon. Named for and inspired by President Theodore Roosevelt (after he refused to shoot a bear that trackers had caught and lashed to a willow tree), the plush teddy bear has cemented its place as the most popular plush toy in U.S. history. This 10.5-inch version is soft, shaggy and sports a natty red ribbon—just as a teddy should. Ages 3 and up. READ MORE: Who invented the Teddy bear? BUY HERE: Pomsies Interactive Pet, about $15, Amazon. 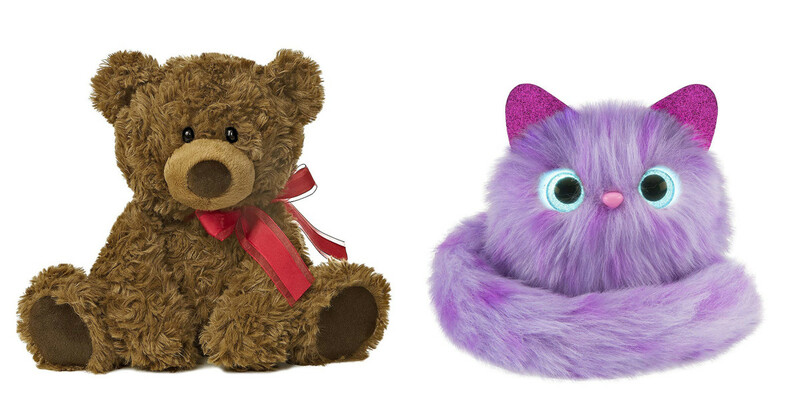 These cuddly talking, light-up plush toys not only tell you when they’re cold, hungry or tired. Pomsies react when you pet them—their eyes light up, they shiver, sneeze and make more than 50 sounds, from giggles to grumbles to purrs. Their twisty tails can be wrapped around wrists, backpacks or even hair. And then there’s their cool freeze-dance mode. Ages 3 and up. BUY HERE: Lionel Pennsylvania Flyer, about $89, Amazon. With vintage ad campaigns like “Everybody is happy when it’s a Lionel Train Christmas” and trains that “made a boy feel like a man and a man feel like a boy,” Lionel trains have been an American staple for more than a century. 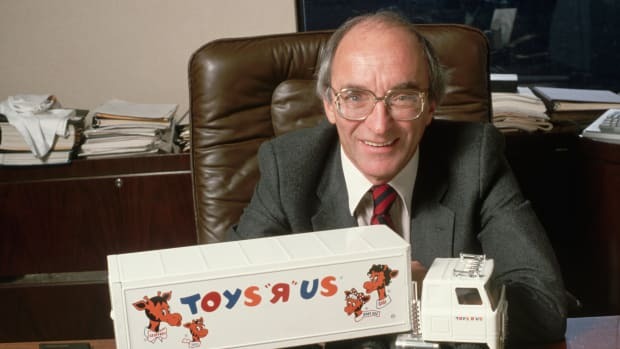 (During the 1950s, Lionel sold two-thirds of all toy trains in the United States.) 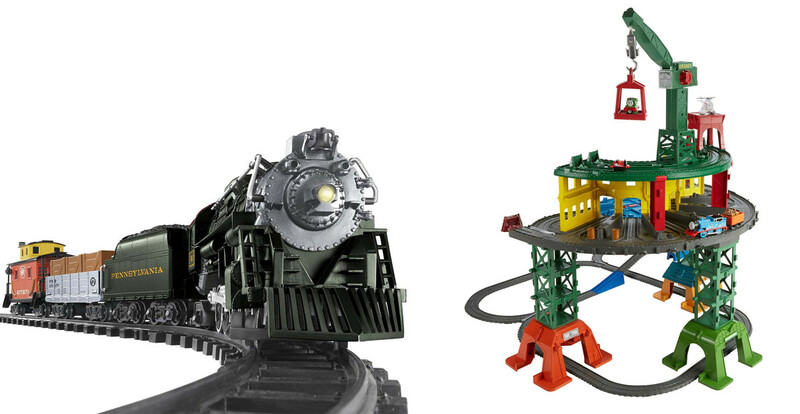 Continue the tradition with this remote-control locomotive with three train cars and a working headlight. Ages 4 and up. BUY HERE: Thomas & Friends Super Station, about $89, Amazon. All aboard! Based on the uber-popular Thomas the Tank Engine book and TV spin-off series, this train station, which can be connected to other Thomas sets, comes with Thomas and his locomotive friends Percy, James and Harold—plus a helipad, turntable and crane. The play set can be configured multiple ways to fit your play space. Ages 3 to 7. BUY HERE: La Baby Doll, about $13, Amazon. 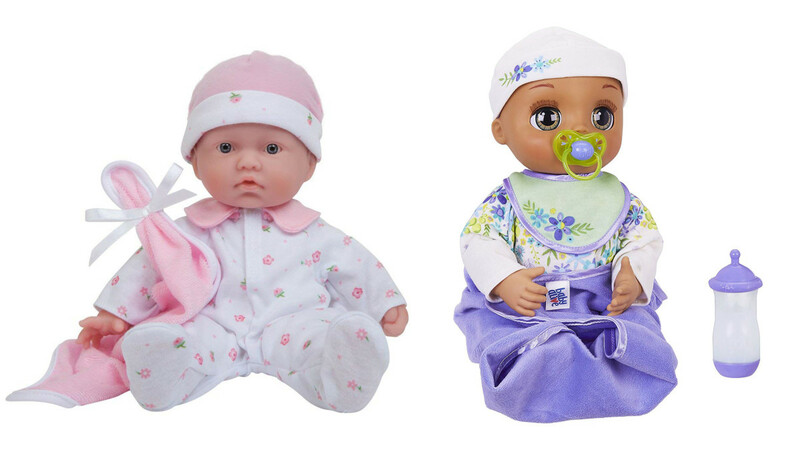 The first commercial baby dolls appeared in the mid-1800s, and they’ve been perennial hot sellers ever since. The 11-inch-long La Baby is soft for cuddles, hand-washable and comes in a variety of ethnicities. Ages 18 months and up. BUY HERE: Baby Alive! 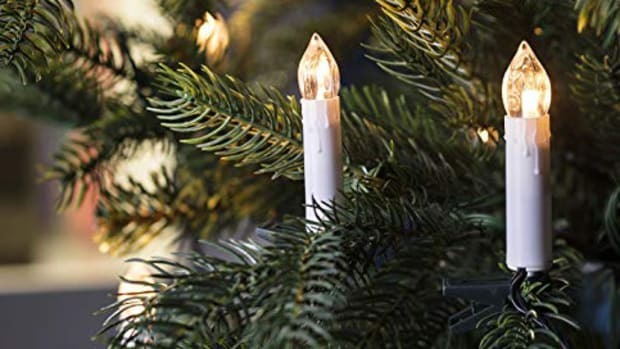 Real as Can Be Baby, about $99, Amazon. If that mute, saucer-eyed old-school baby seems to be missing...something...then Baby Alive! might just have it. With 80 facial expressions and noises aplenty—giggling, gurgling, slurping and burping, to name a few—she is responsive to your child’s voice and touch, making feeding, snuggling and other care-taking activities more realistically engaging. Includes removable outfit, hat, bib, blanket, bottle and pacifier. 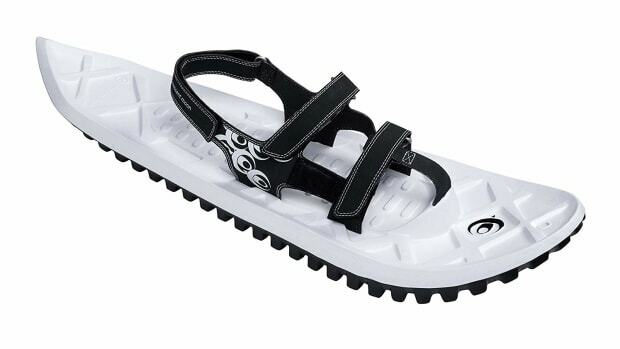 Comes in a variety of ethnicities. Ages 3 and up. BUY HERE: Millennium Falcon Play Set, about $32, Amazon. Since the first Star Wars movie launched in 1977, the film’s action figures, vehicles and accessories have earned a spot on toy shelves across the world—including in the National Toy Hall of Fame. This two-in-one Millennium Falcon play set pays homage to the classic Episode IV escape scene with Han Solo, Chewy, R2-D2 and the famous feisty smuggling ship. Ages 3 to 7. VIDEO: Star Wars prompted an unprecedented retail bonanza—and an epic Christmas merchandise fail. BUY HERE: Star Wars Droid Inventor Kit, about $69, Amazon. Know a kid into Star Wars and coding? Strike gift-giving gold with this award-winning customizable robot-inventor toy that comes with a slew of easy, block-based coding missions. You’ll need an iPhone or Android to operate the droid. Ages 8 and up. BUY HERE: Barbie Beach Cruiser, about $34, Amazon. The original teen fashion model hasn’t waned in popularity much since its 1950s debut—and neither have her sleek accessories like the Beach Cruiser, perfect for trips to the seashore with Ken or Skipper. (The first Barbie vehicle: a 1962 Austin-Healey roadster.) Ages 3 years and up. GALLERY: Barbie Through the Ages. BUY HERE: Barbie Care Clinic Vehicle, about $46, Amazon. Over the decades, Barbie has explored scores of empowering careers, including that of doctor. With this ambulance/hospital play set, kids can “perform” X-rays, vision tests and exams, use working lights and a siren and even run a gift shop. Ages 3 years and up. BUY HERE: Tinkertoy 30 Model Building Set, about $50, Amazon. Dating to the early 20th century, these construction toys continue to attract young engineers with simple spools, flags, washers and rods that can be crafted into imaginative creations. This Tinkertoy set includes 200 colorful parts—perfect for teaching STEM concepts at home. Ages 3 and up. 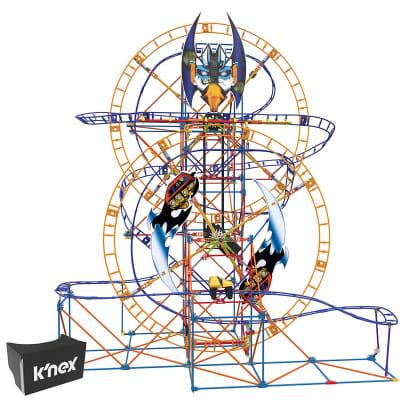 BUY HERE: K&apos;NEX Thrill Bionic Blast Roller Coaster Building Set, about $119, Amazon. 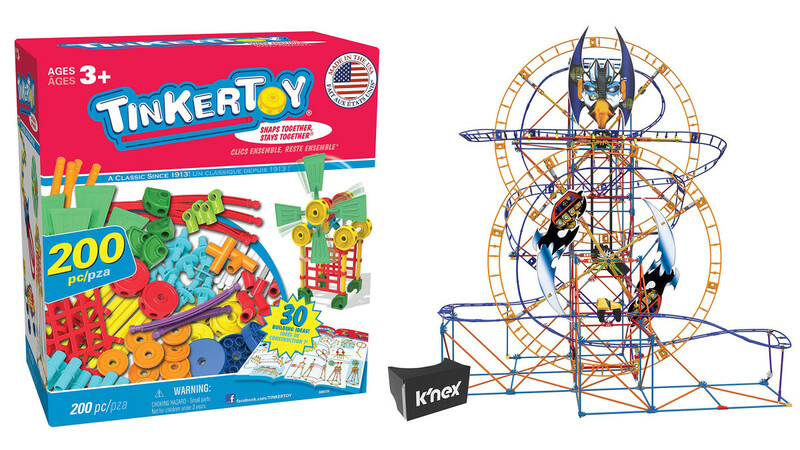 Take those STEM skills to the next level with this K’NEX set, complete with 809 parts and pieces and a motor, that lets you construct your own coaster. Once it&apos;s built, download the app to take a ride on the coaster in virtual reality (VR cardboard viewer included). Ages 9 to 14.